Police have this morning (Tuesday) named Asfordby teenager Leah Beth Reek as missing following Sunday’s devastating building collapse in Leicester. The emergency services investigating the cause of the explosion in Hinckley Road, say Mary Rajoobeer (46) and her two sons, Shane (18) and 17-year-old Sean, who all lived in the flat above the supermarket which was destroyed in the blast, are also missing. The fifth person unaccounted for is 22-year-old Viktorija Ljevleva, who is thought to have been working in the supermarket at the time. Leah (18), who is Shane’s girlfriend, is a former pupil of Captain’s Close Primary School at Asfordby and Long Field Academy in Melton. A spokesperson for Leicestershire Police said: “Human remains relating to five people have been recovered from the wreckage but given the devastation caused by the blast and subsequent fire, it may be some considerable time before the bodies can be formally identified. Leah had been a volunteer worker with the Leicestershire hospice charity, LOROS, which provides care and support for terminally ill people and their families, since September last year, working in the day therapy centre in Leicester and on other projects. She was hoping to use the experience to support her studies in health and social care at Loughborough College. Leah was recently nominated for the Lord Lieutenant of Leicestershire’s young volunteer of the year award. Long Field Academy have released this statement in tribute to their former pupil: “Leah was an incredibly friendly, proactive and bubbly character who was really popular amongst her peers and staff alike. Asfordby Captain’s Close Primary School was also keen to pay its tribute to Leah. Head teacher Julia Hancock said: “The school community is devastated by this news. “Many of our staff remember working with Leah and her family with fondness and smiles. “Her beautiful character shone through and her outlook, and her happy approach to life lit up the lives of others too. “This remains in our conversations at the moment and will be a constant to those who knew her. “Our hearts go out to her family and friends at this time. This morning detailed work continues to be conducted at the scene of the explosion as part of the rescue operation and in an attempt to understand what caused the explosion shortly after 7pm on Sunday night. To facilitate this work, made more complex given the weather conditions and anticipating heavy snowfall later today, the A47 will remain closed in both directions, with the existing diversions still in operation. One of the five people taken to hospital on Sunday night remains in hospital this morning with life-threatening injuries sustained as a result of the explosion. Firefighters from Melton provided relief to the city crews on Sunday night and into the early hours of Monday. Leicestershire Police fear there may be other casualties buried in the rubble and the search for survivors is continuing today. 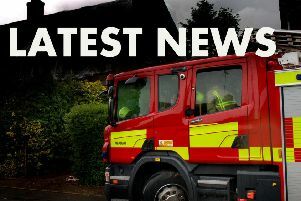 Matt Cane, Group Manager for Leicestershire Fire and Rescue Service, described the search operation as snow fell last night as ‘dynamic and challenging’.